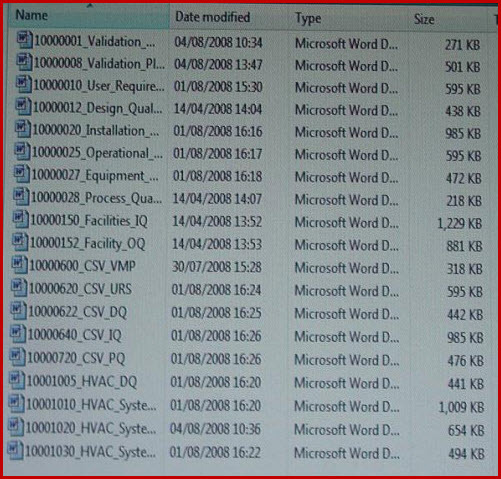 This Corporate Quality Manual (CQM) is supplied written in Microsoft Word, preloaded to a USB memory stick and complete with the attachments listed in the graphics below. 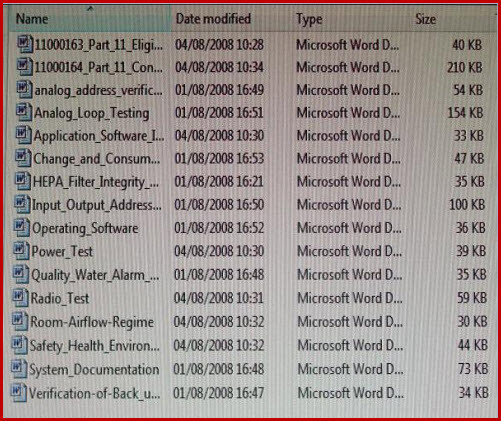 This high quality manual along with all associated protocols, plans and SOPs templates are all deliberately written in Microsoft Word - specifically to allow easy editing for the end user. Each document is preceded by an SOP which prompts you through the procedure of populating and then converting your template, into your own bespoke company document. This Corporate Quality Manual has real live detailed, compliant and interactive documents. These documents were designed by use and have been subjected to a continuous process of evolution. Incorporating the latest in legislation changes and regulatory expectations. Without a doubt these documents represent represent the most Cost Effective method of producing all the required protocols, plans and SOPs that are mandated in any validation task. They will free up a lot of your time and enable you to deliver your validation projects and tasks in budget and on time. For the validation professional, this user manual is an extremely useful tool, for the new comer in validation, it gives a huge boost to confidence and actually makes you look good. To have this material on hand is incredible and to be able to download and populate an IQ in minutes, or six IQ’s in an hour, is quite an outstanding resource to have. Continued feedback indicates that these are the best FDA Compliant document templates available anywhere. Get started in pharmaceutical Quality Assurance. Gain promotion in the industry. Get into the highest paid section of the industry. The cost of the FDA Compliant Corporate QC Manual, will be recouped in the first few weeks, it will then go on to show a massive return on your original investment. An investment that you will never ever regret. 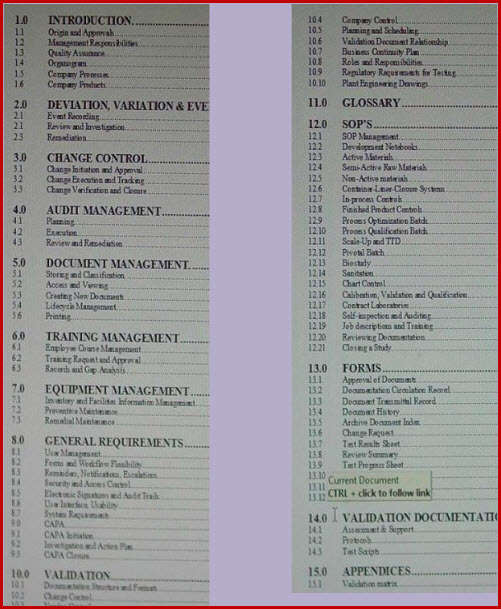 Corporate Quality Manual Chapter Headings. Appended Validation Tools & Guidance Documents. Using the Corporate Quality Manual. The GMP Corporate Quality Manual is the start of all compliant documentation. The policies container in it, dictate what documents must be raised and details the scopes and responsibilities in raising, approving and executing them. Here both our QC and QA manuals go a great deal further, in containing interactive downloadable templates for, Validation Master Plan (VMP), Design Qualification (DQ), Installation Qualification (IQ), Operational Qualification (OQ), Performance Qualification (PQ), User Requirements Specification (URS), and many more documents, all of which are compliant with Good Manufacturing Procedures GMP, GAMP 4, Food and Drug Authority and Medicines and Healthcare Regulatory Agency, rules and regulations. Authoring and publishing a Corporate Quality Manual is a long drawn out and expensive process. A single author will usually take six to nine months to produce one. A similar amount of time is required from peers, in reviewing and editing. Our Corporate Quality Manual preface is constructed in the format of an Standard Operation Procedure as an SOP. This SOP takes you through the simple stage of populating the Corporate Validation Manual. This standard could be considered a training manual or even a user manual and becomes your new company bespoke manual.